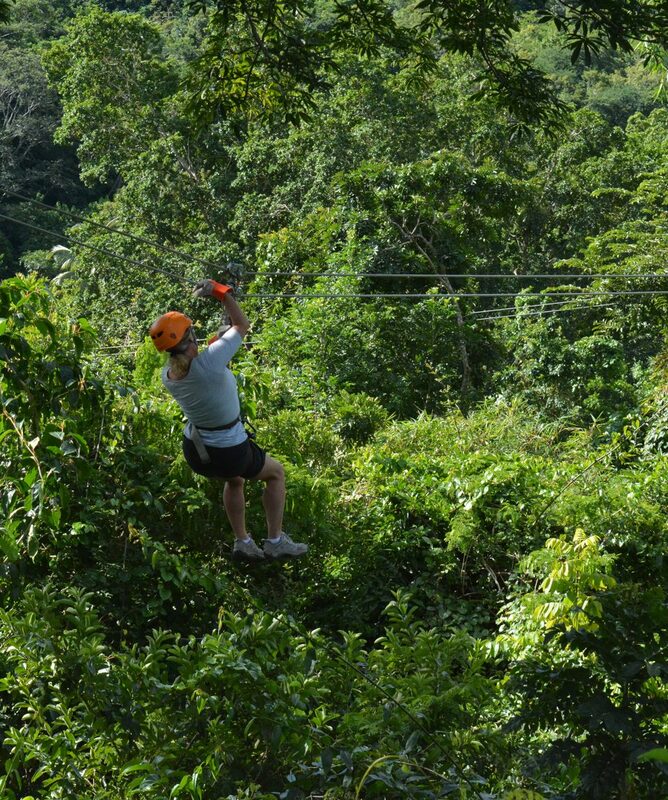 Introducing Antigua’s most exciting tour, the Rainforest Zip Line & Stingray City! 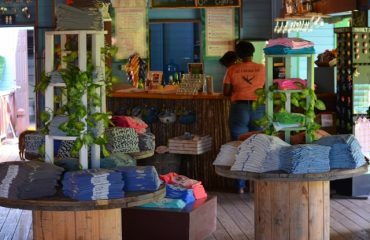 The most fun & excitement you can pack into a day on one island! 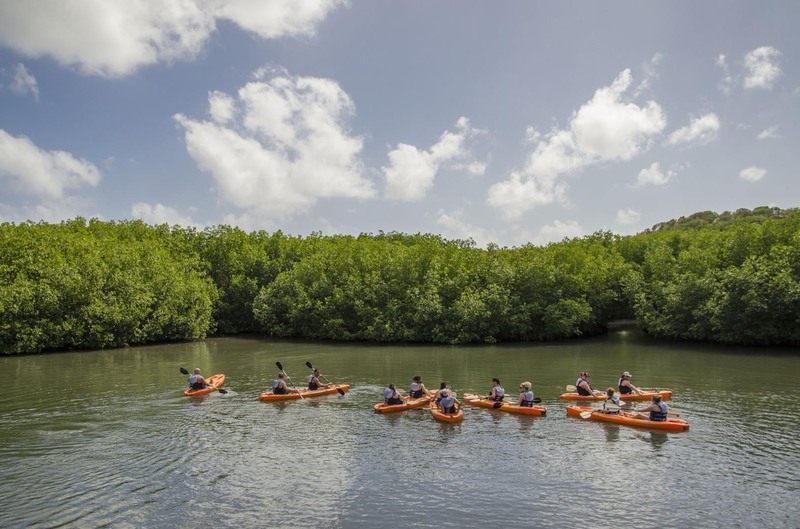 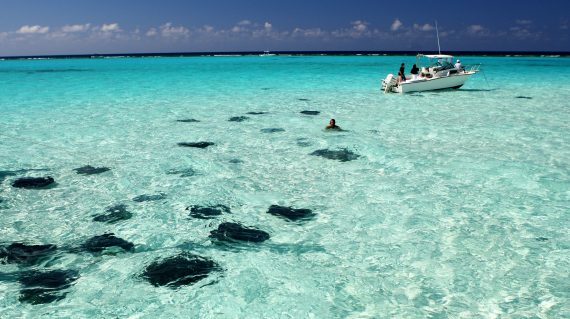 Zip through the Antigua Rainforest and swim with, touch and feed the stingrays of Antigua in the Caribbean Sea. 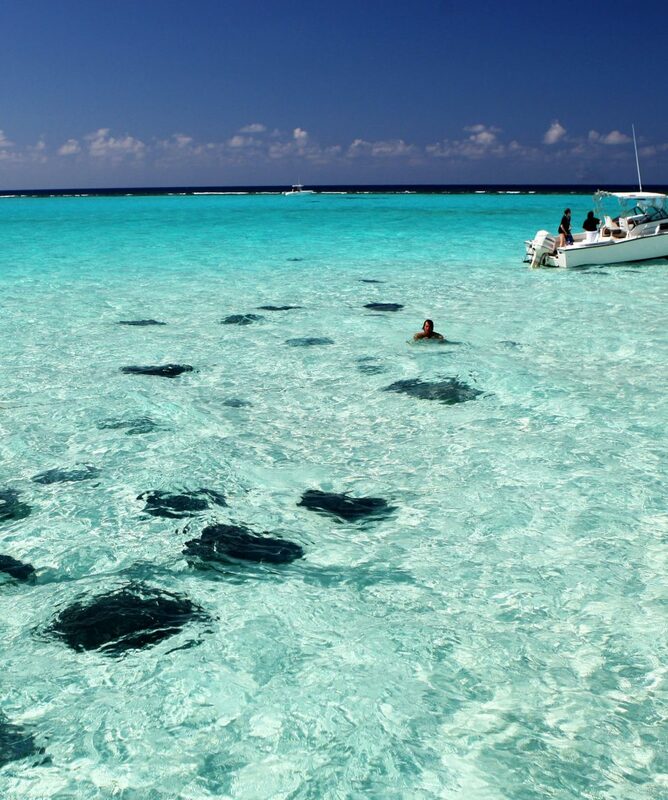 The stingrays are very friendly and very gentle. 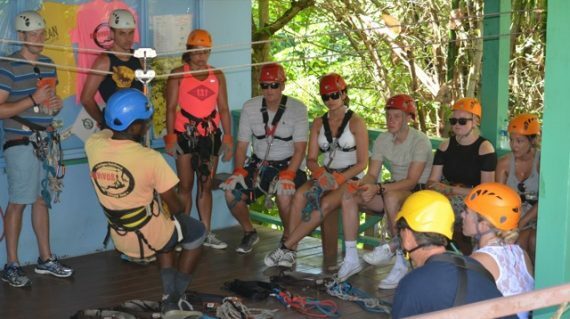 All about the Combo Tour – Zipline & Stingray City. You will board your air conditioned 4x4 jeep, for a relaxed sightseeing experience with your knowledgeable Guide, who will be with you throughout the tour to attend to your needs and answer any queries. 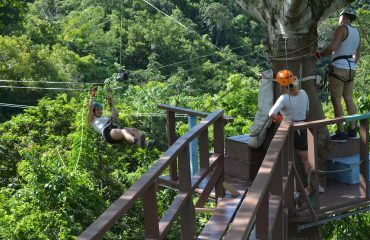 You will be taken for a scenic drive across the island into the heart of Antigua’s tropical rainforest. 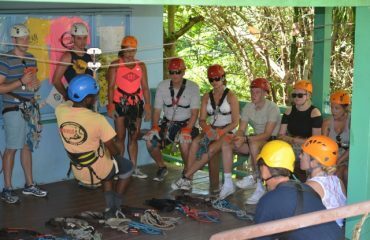 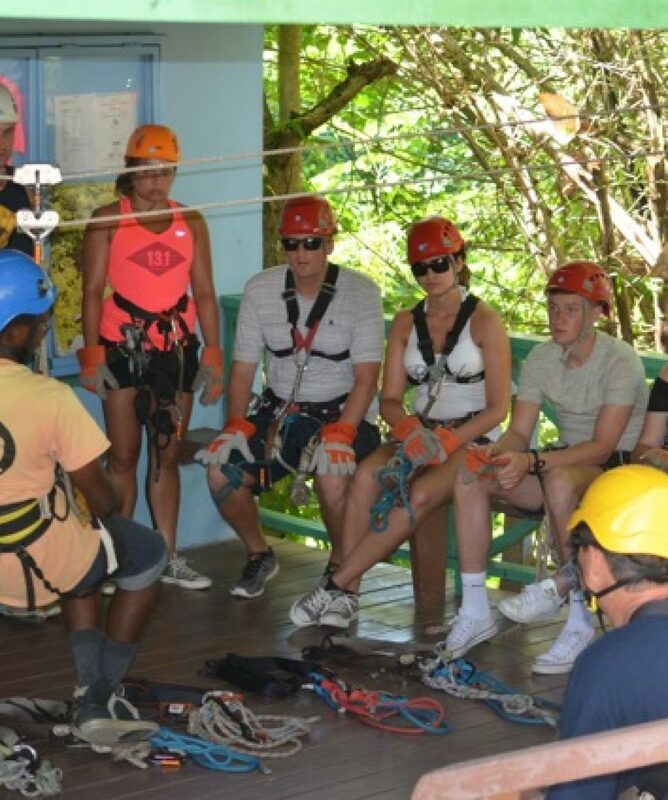 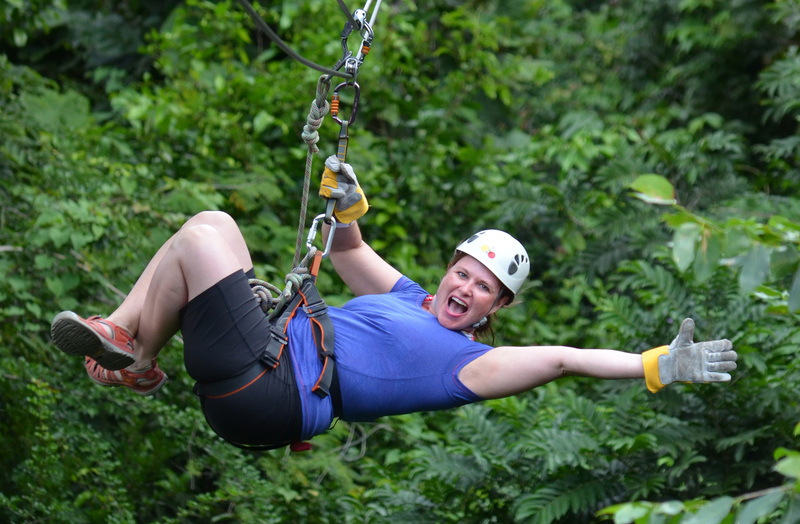 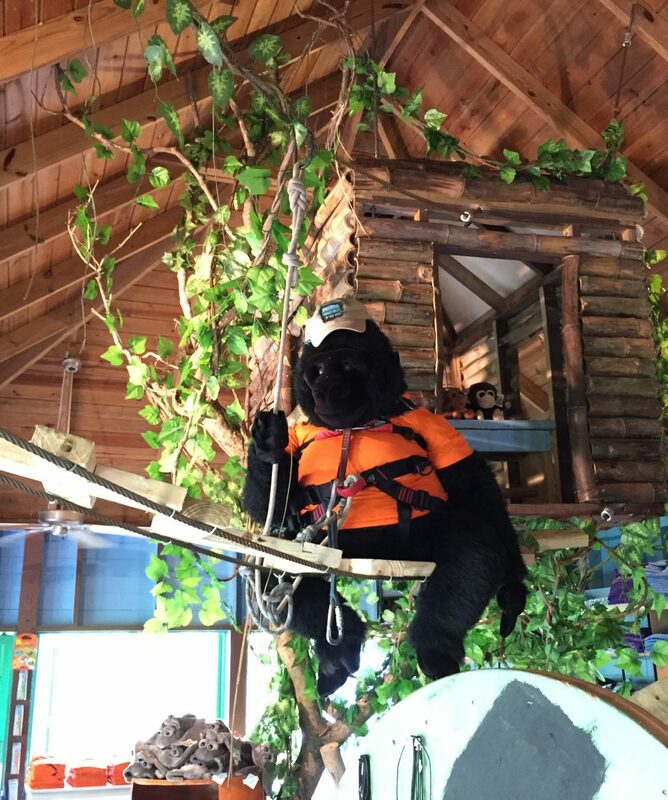 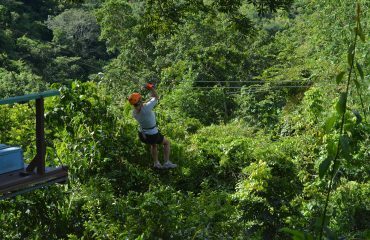 Here you will encounter the one and only Antigua Rainforest Zipline Tour! 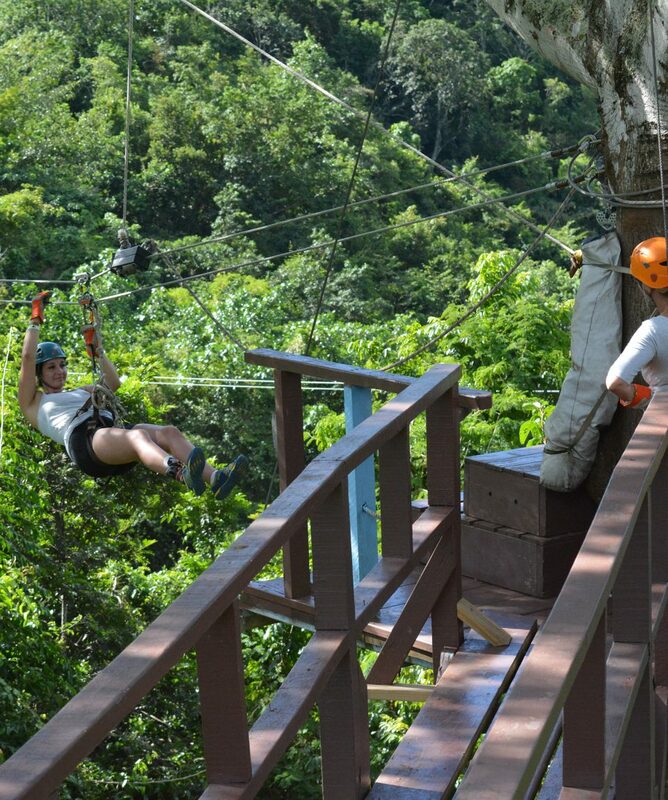 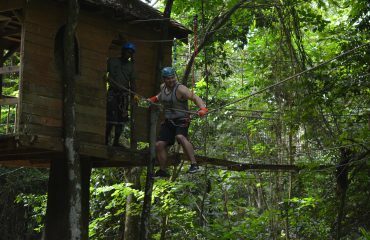 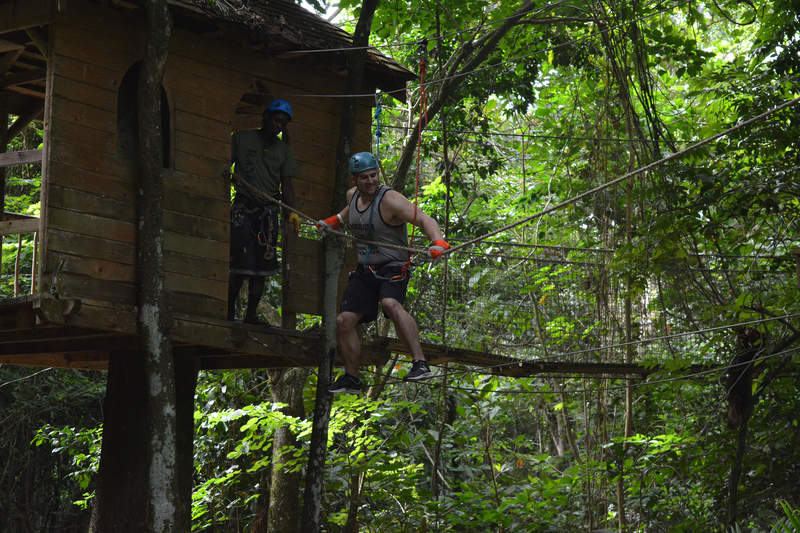 Enjoy 8 breath taking zip lines across the lush canopy, some over 300 feet long and high. Surrounded by the sites and sounds of nature, this eco friendly location will leave you with last memories as well as the aerial thrill of a lifetime! Re-board your jeep as we continue through the picturesque route and ride through Antigua’s countryside, rich in daily West Indian life, local villages, old churches, that exemplifies West Indian culture to Seatons, some 20 minutes away. 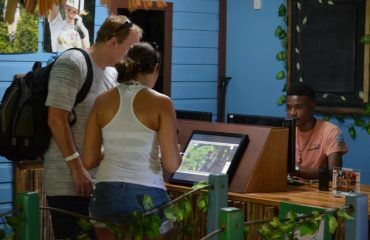 Start your adventure at Stingray City’s land base where you can enjoy the company of their monkeys and parrots, and the hospitality of the experienced Stingray City’s Guides. 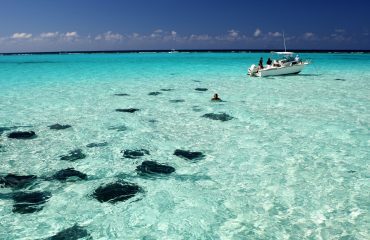 A short speedboat ride will whisk you to a shallow pool with a white sand bottom surrounded by beautiful coral reef in the Caribbean Sea. 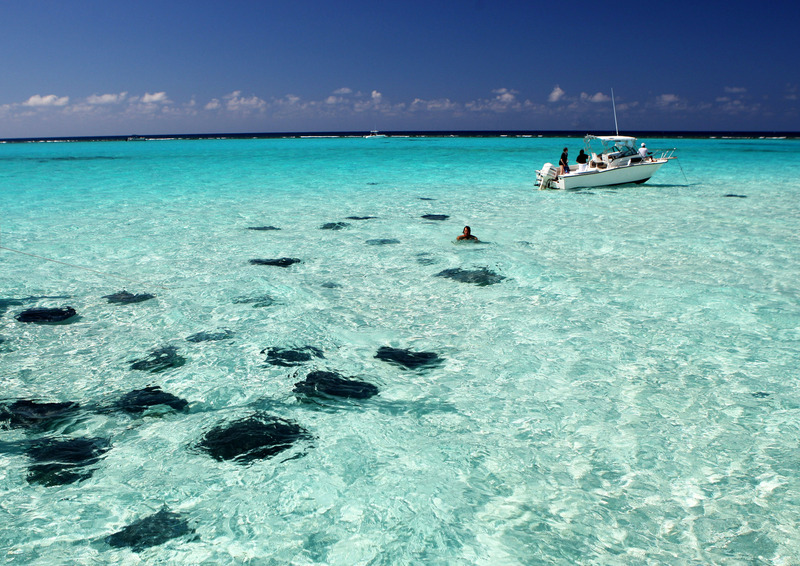 You will be able to stand up or swim with the stingrays, who will greet you with the familiarity of an old friend. 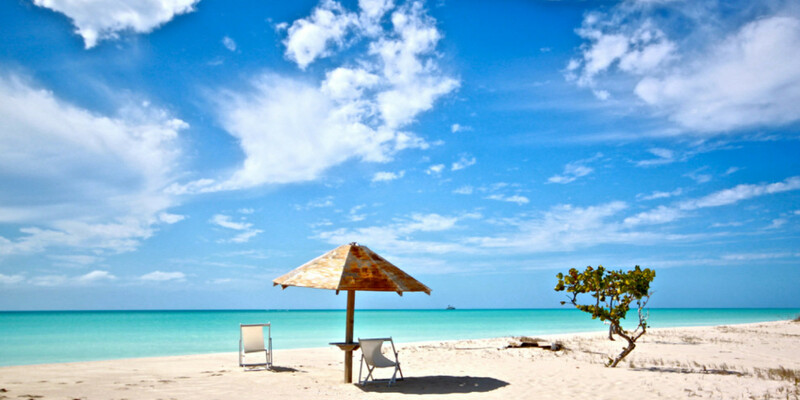 After feeding, snorkelling and taking some pictures with your new friends, you will return to the land base where you can rinse off the seawater under the bright Caribbean sun, with a shower under a coconut tree. 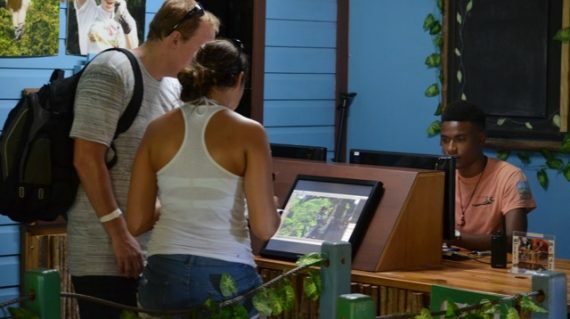 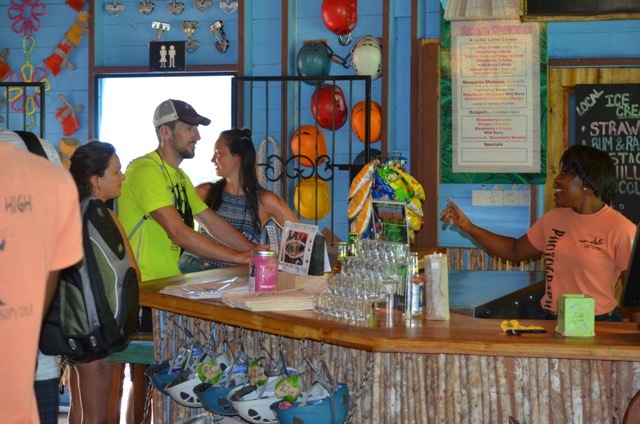 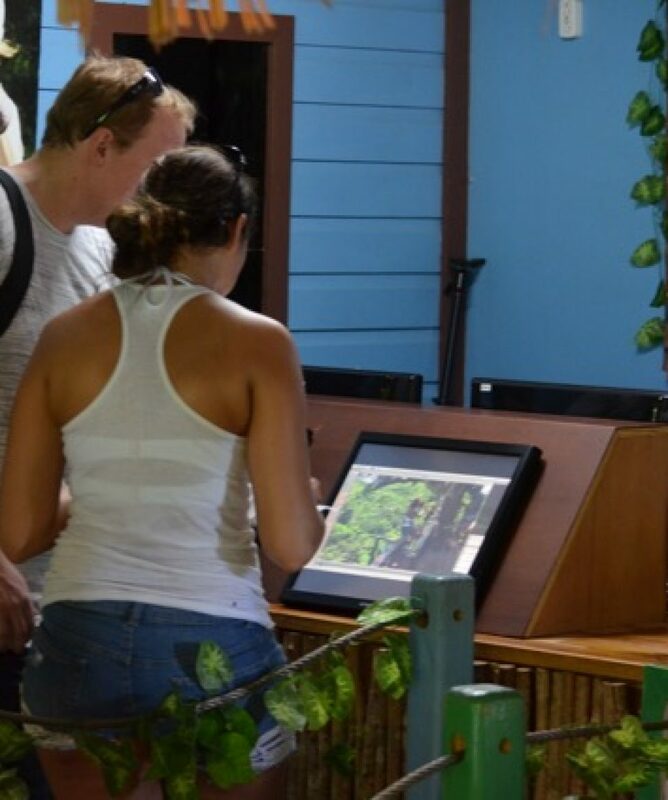 Enjoy complimentary rum or fruit punch, browse in the gift shop and just share this unique experience with your fellow guests before your return.